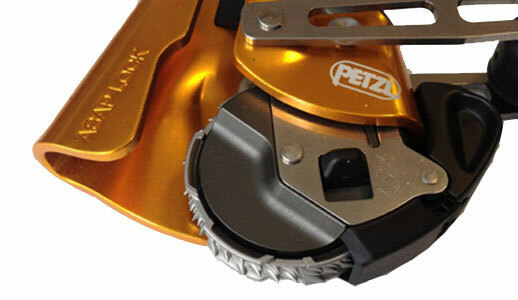 There are now two versions of the popular Petzl ASAP Fall Arrest / Back-up device: the ASAP and the ASAP Lock. – Both devices feature a rotating toothed wheel which arrests a fall by locking onto the rope if the device is shockloaded (when the wheel reaches a certain speed it automatically slows then locks onto the rope). – Both have a stainless steel contact wheel for durability and corrosion resistance. – Both conform to EN353-2 (Personal Protective Equipment against falls from height: Guided type fall arrestors on a flexible anchorage line) and EN12481 (Personal Fall Protection Equipment. Rope Access Systems. Rope adjustment devices). 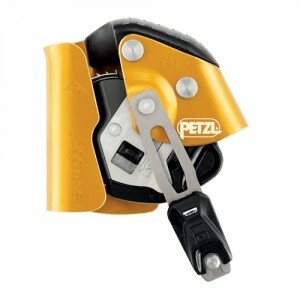 – The ASAP Lock has a connection arm which gives a direct attachment to a lanyard (the Petzl Absorbica or ASAPsorber) and using the safety catches to open the device the user can put the device on, or remove it from the rope without detaching it from the harness thus eliminating the risk of dropping it. The standard ASAP is connected via triact triple action karabiner to the lanyard and this karabiner needs to be removed before the device can be put on or removed from the rope. 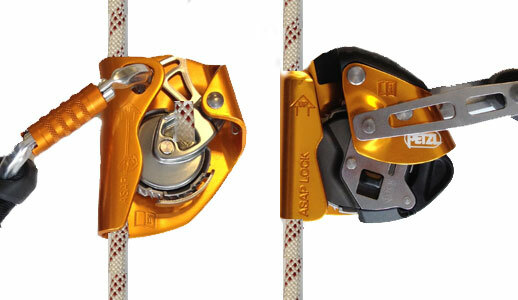 – The ASAP Lock has a Locking switch allowing it to be locked in one position on the rope, a useful feature which can help limit fall distances and prevent ‘bellying’ in high winds (where the rope is pulled through a device producing a long slack loop above it, which can result in longer fall distances and bigger shockloads in the event of a main line failure) . 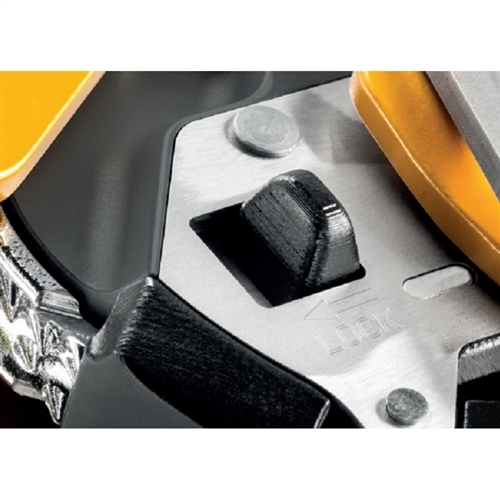 – The ASAP Lock conform to both European standards (EN) and ANSI Z359.15 (for use in the US) making it suitable for use globally. The standard ASAP conforms just to EN standards.